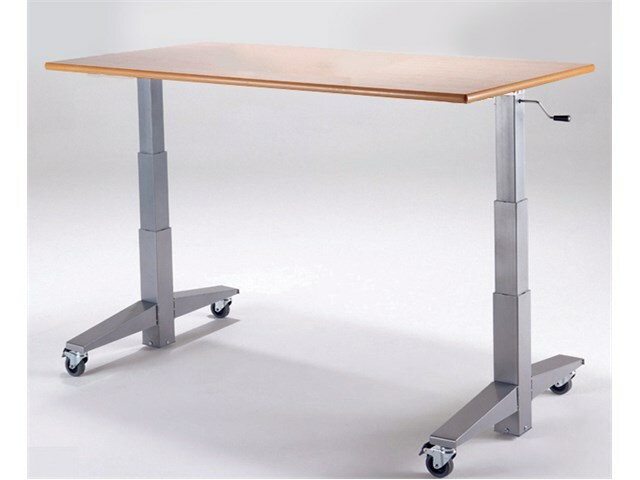 Adjusts in seconds from a standing to a sitting height, meeting the needs of all learners. Really quick - adjustable from the tallest to lowest settings in just 15 seconds. Achieves precise levels of adjustment ranging from 530mm to 1200mm. 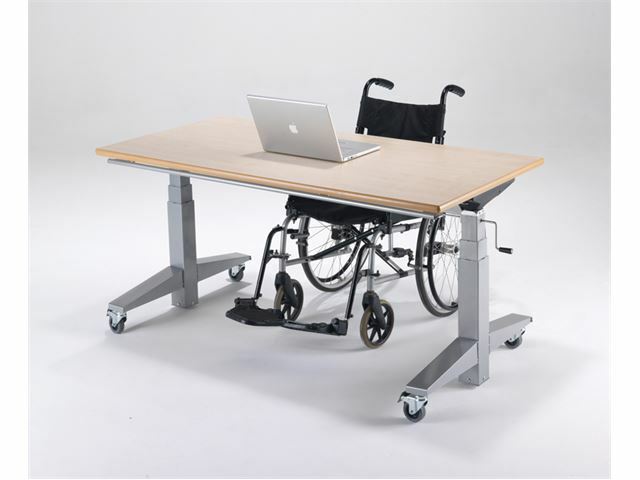 Four wheels allow mobility within the room. Tables of the same size can be nested into one another for storage by moving the table top into a vertical position. 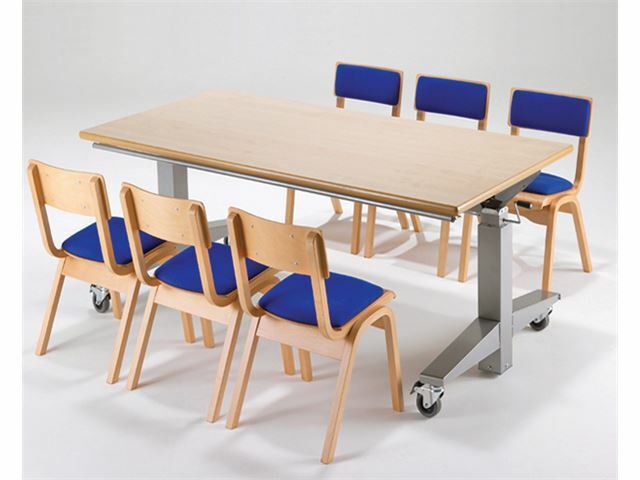 Available in two sizes and three table top colours: beech, maple or grey (please specify). Metalwork/ wheels are silver. Size option 1: W1200mm x D600mm x H530mm to 1120mm. Size option 2: W1500mm x D750mm x H530mm to 1120mm. 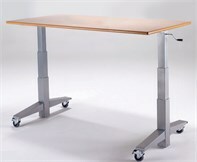 Delivery within England is £50.00 per trolley/table (please telephone us for delivery pricing outside of England). Please note that this product has a 28 days returns policy.